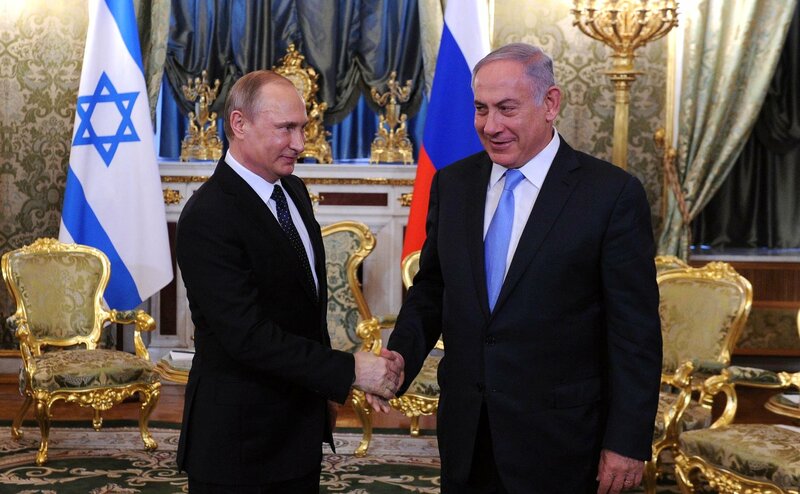 Russian President Vladimir Putin (L) and Israeli Prime Minister Benjamin Netanyahu (R). Substantive talks to begin in 2016. Russian President Vladimir Putin said on June 7 that the establishment of a free trade area with the Eurasian Economic Union (EAEU) could promote economic ties with Israel. “I am sure that the establishment of a free trade area between the EAEU and Israel may serve as an incentive for developing business ties,” Putin said at a press conference following negotiations with Israeli Prime Minister Benjamin Netanyahu. “We recently talked about this with our EAEU partners in Astana, and substantive negotiations on this account will be launched this year,” Putin said.